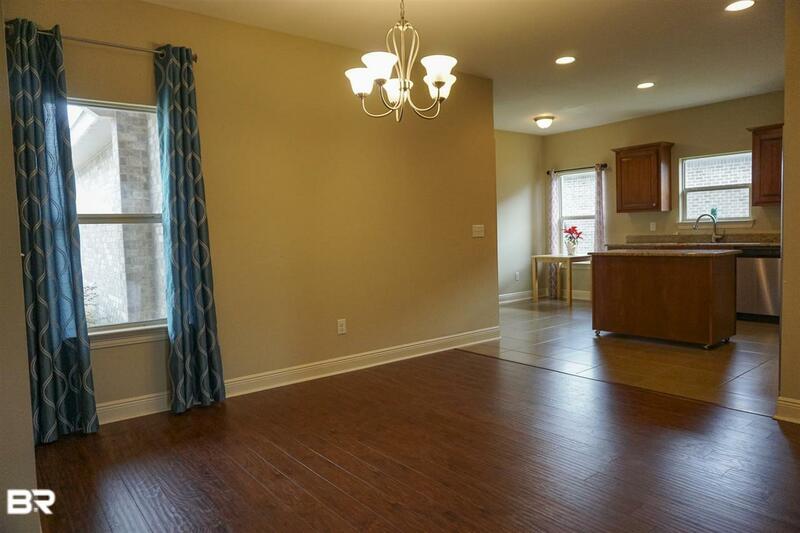 Make this almost new, pretty, brick, 4/2 your new home! 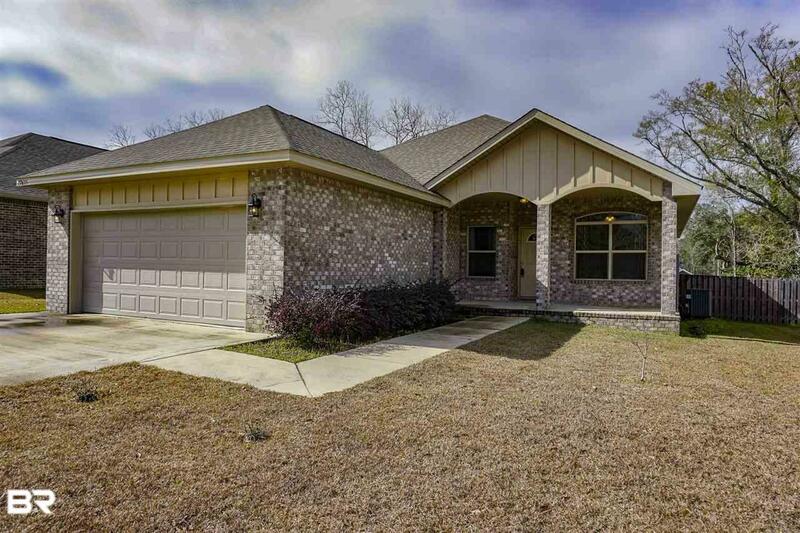 Close to Robertsdale and Silverhill with quick access to the beach and I-10. 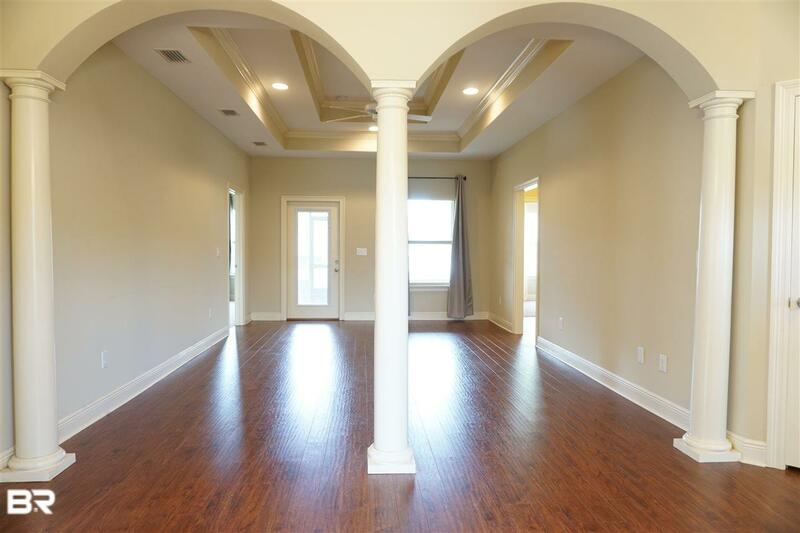 This comfortable home has an open concept with split plan bedrooms, large Living Dining Combo, eat-in breakfast area in kitchen with an island, custom cabinets, granite counters and stainless appliances. Master bedroom with large, roomy en suite bathroom has dual vanities, walk-in, tiled shower, and his-n-hers walk-in closets. Two other bedrooms have walk-in closets. 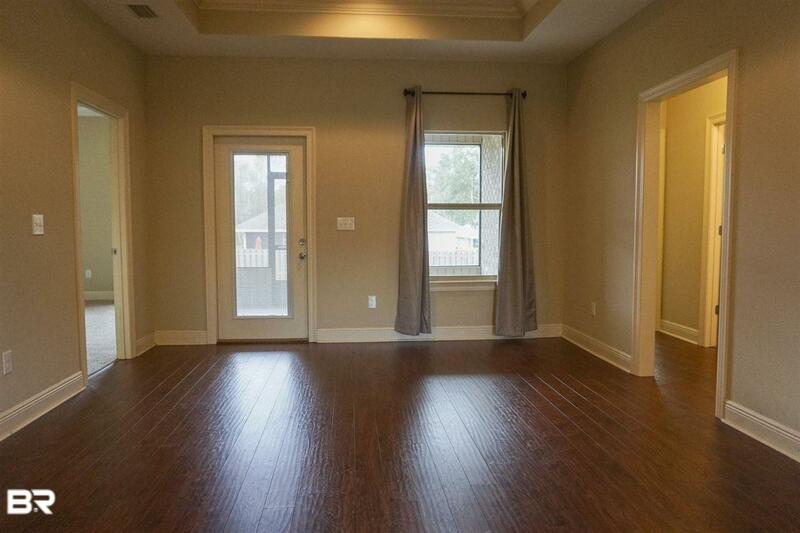 4th Bedroom would make a perfect office, bonus/play/bunkroom and has a high, arched ceiling. Screened back porch overlooks a fenced back yard. 2 car garage. Full size utility room with washer and dryer. All appliances in home convey. Priced right!